Line a mini muffin tray with 6 cupcake lines. Stir all ingredients for the bottom layer together until smooth. Divide mixture between wells until each is around half full. Put the tray in the freezer on a flat surface and freeze until solid (about 10 minutes). Meanwhile, stir all ingredients together for the top layer until smooth. Divide equally on top of the set chocolate mixture. 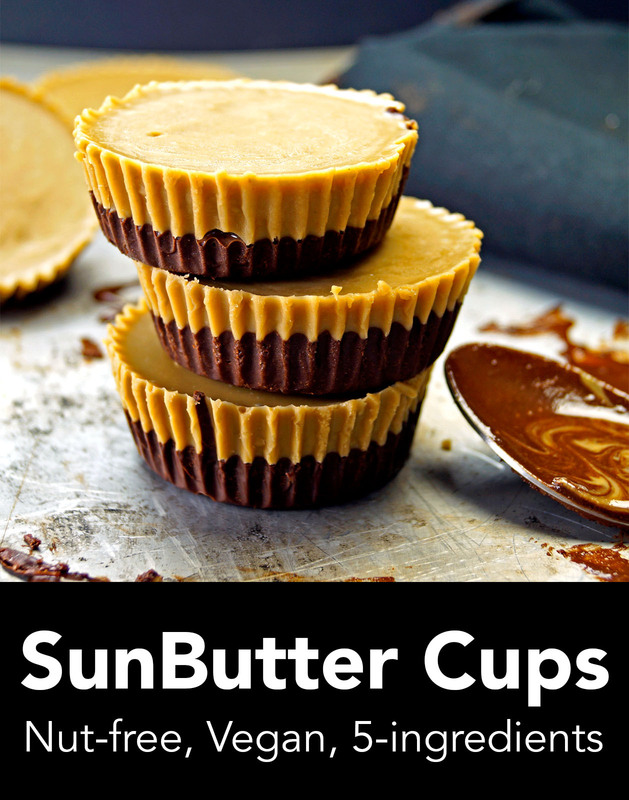 Return SunButter Cups to the freezer until solid (about 10 minutes). Store treats in freezer and enjoy!